Note: Prices can fluctuate due to currency fluctuations. 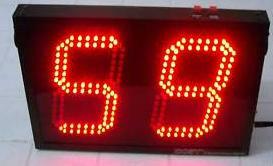 Options: ▲ Stopwatch can also be customized to 99 Secs, Hrs, Days [2.3" High digits]. It can also be customized to count up. 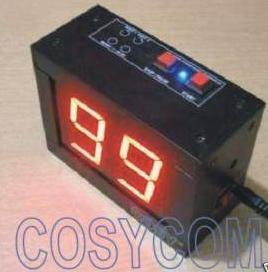 Options: ▲ Stopwatch can also be customized to 99 Hrs, Mins, Days [4"high digits]. 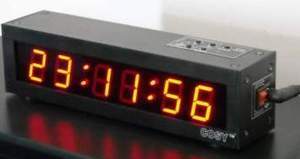 It can also be customized to count down. 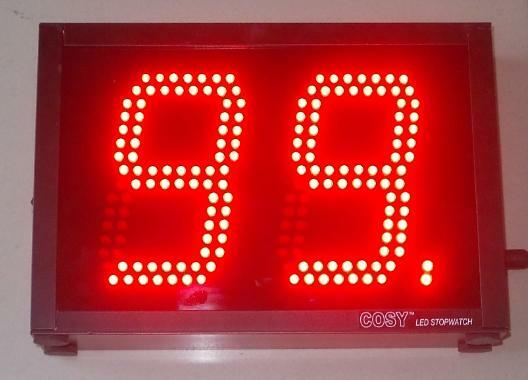 Options: ▲Stopwatch can also be customized to 99 Hrs, Mins, Days [10"high digits]. It can also be customized to count up. 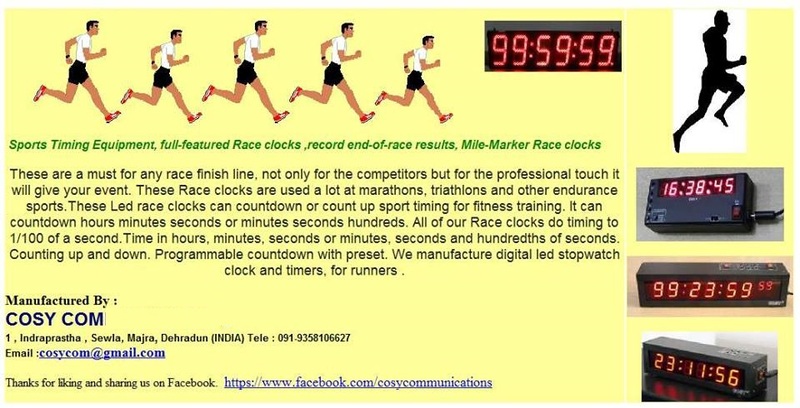 Options: ▲ Stopwatch can also be customized to 59 Hrs, Mins, Days [6"high digits]. 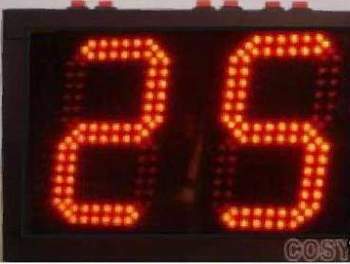 It can be customized to count up or down. 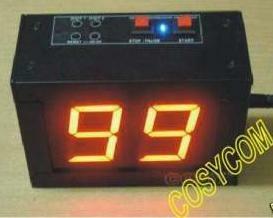 Value(59) can be customized to any no. 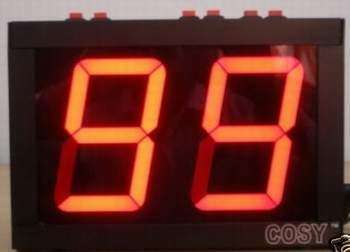 between 1 to 99. 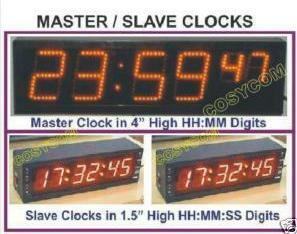 Options: ▲ Jumbo clock can also be customized from HH:MM to MM:SS . 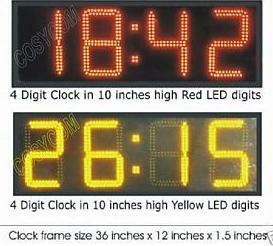 Options: ▲Stopwatch Clock can also be customized from MM:SS to HH:MM. 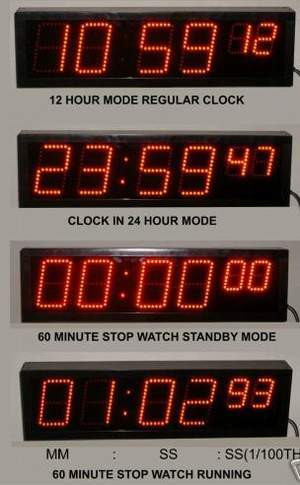 Options: ▲Clock can also be customized to MM:SS, HH:MM. 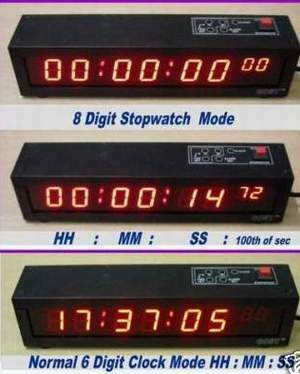 Options: ▲Stopwatch Clock can also be customized to MM:SS:ss, HH:MM:SS. 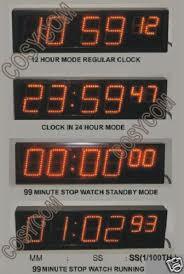 Options: ▲Stopwatch Clock can also be customized to HH:MM:SS.